First came the powders, then came the blushes and now there is the exquisite Modernist Eyeshadow Palettes ($67). The second pictures of these palettes showed up on the Internet, I knew I had to get my hands on them. I have been really impressed with every Hourglass product I’ve tried to date and this eyeshadow palette is no exception. I got the Exposure palette, which is the plum range of colours (I always love a purple/plum eye look). The first thing that caught my eye is the packaging of the palette. They’re sleek, quite small and thin, with a good size mirror on the inside. They also don’t come with any pesky tools that personally, I never use and just end up getting in the way. The wavy pattern on the actually eyeshadow is very cool, A+ for creativity on that one. It definitely makes the palettes more luxe. Every palette consists of five colours. 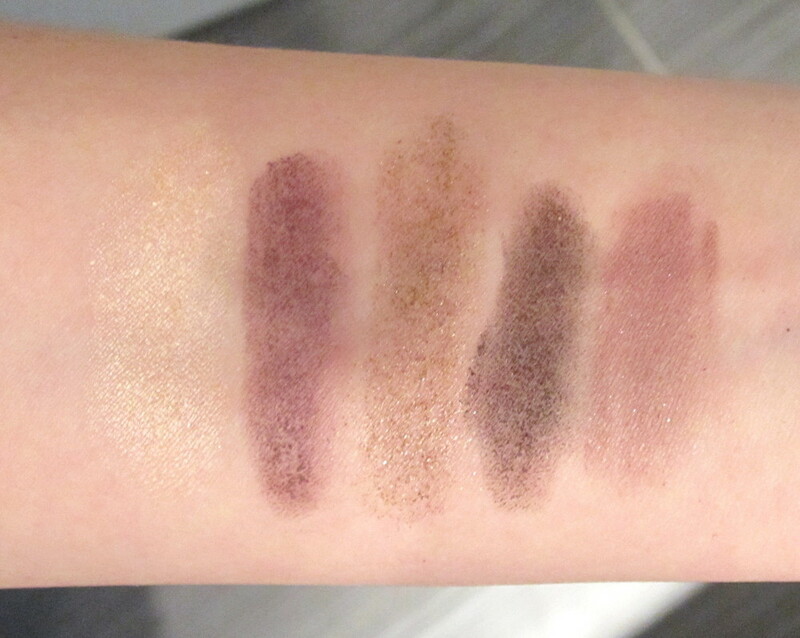 In the Exposure palette there is a shimmery light pink/cream shade (Champagne), a matte purple (Aubergine), a glittery gold/bronze colour (Bronze), a deep shimmery purple (Black Violet), and a pinky-purple shimmer (Lilac). All of the colour are very pigmented, particularly the Champagne shade. They are very creamy and buttery and blend together seamlessly on the lids, which is impressive for shimmer/glitter shadows. The shadows also have great lasting power, even after 12 hours my eyeshadow hadn’t completely faded away. That being said, I definitely think these shadow need to be applied with a brush because when I went to swatch them with my finger they got a bit clumpy but they're totally fine when I apply them on my eyelids with a brush. I’ve been using my Exposure palette with my Bobbi Brown Perfectly Defined Gel Liner in Violet Night for a great deep purple eye look. I think this is a really great palette that’s compact and very versatile. It’s super easy to go from a light and easy daytime look to a deep and bold evening look. I find them really easy to work with and they come in a great range of colour schemes. 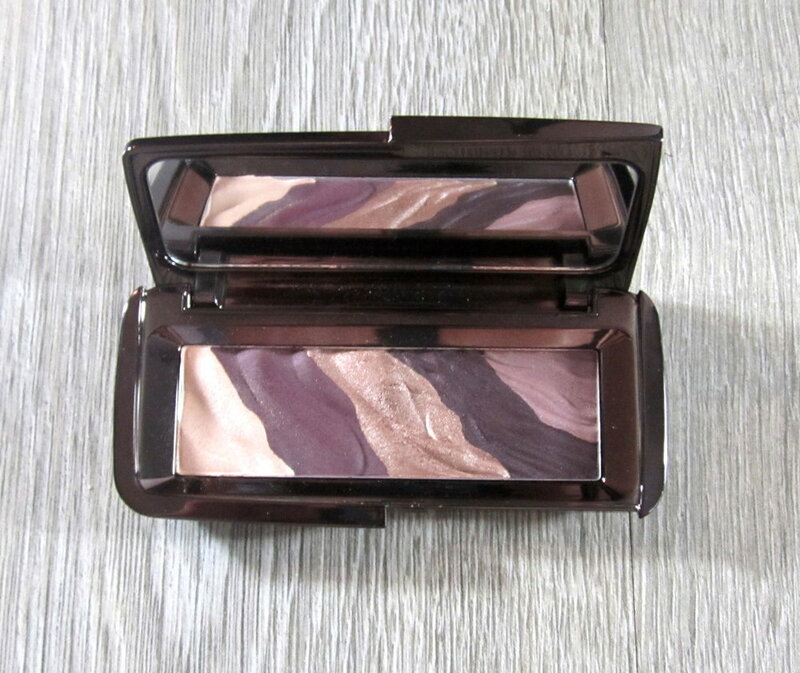 The Hourglass Modernist Eyeshadow Palettes are definitely on my hot list. Have you tried these palettes? Which one is catches your eye?